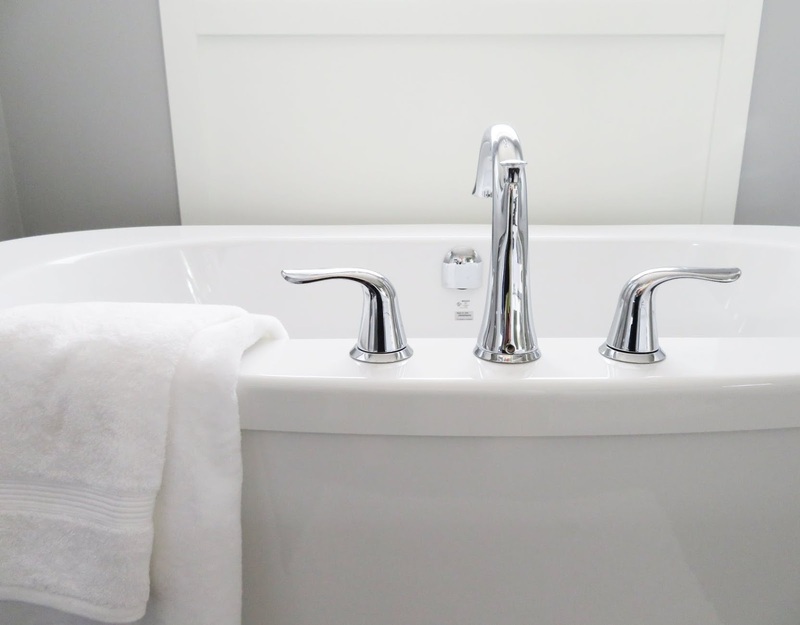 Rubba Dub Dub: Must-Haves for the Tub! Some of our readers may remember a discussion we ran a couple years ago trying to weigh the pros and cons of a shower vs. a bath. In the end, we concluded that there are great qualities of both. But, even though showering may be a more time efficient and feel like a more cleansing experience, soaking in a bath is really great for your skin and can be very relaxing. 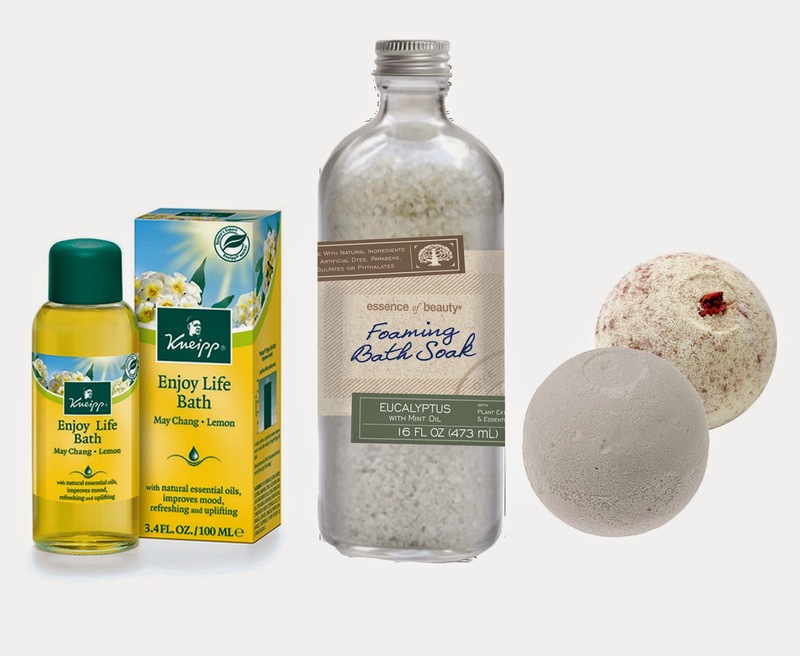 Now, I am returning to this soothing subject to bring you some (affordable) must-have items to make your bath time or shower time extra special. I searched high and low in every department store, drugstore, and specialty shop for the best bath time and skincare products under $40. After testing out each product, I finally have compiled my favorites - in the perfect five step tub time experience. Every bath should start with a great body scrub. Exfoliating your skin is so important. It fights against flaky skin and blemishes, and evens out your skin tone. It's so smart to start working an exfoliation step into your bath time. The Essence of Beauty brand at CVS is the perfect affordable body scrub. The scent is great and it leave your skin feeling silky smooth for a fraction of other brands' prices. I also recommend the Pink Grapefruit sugar scrub from Merle Norman, if you are willing to pay a few more bucks. I live for zesty citrus scents, especially in the spring and summer time! It smells incredible and it feels even better. I honestly believe after using this scrub my skin was not only smoother but brighter and more even-toned. 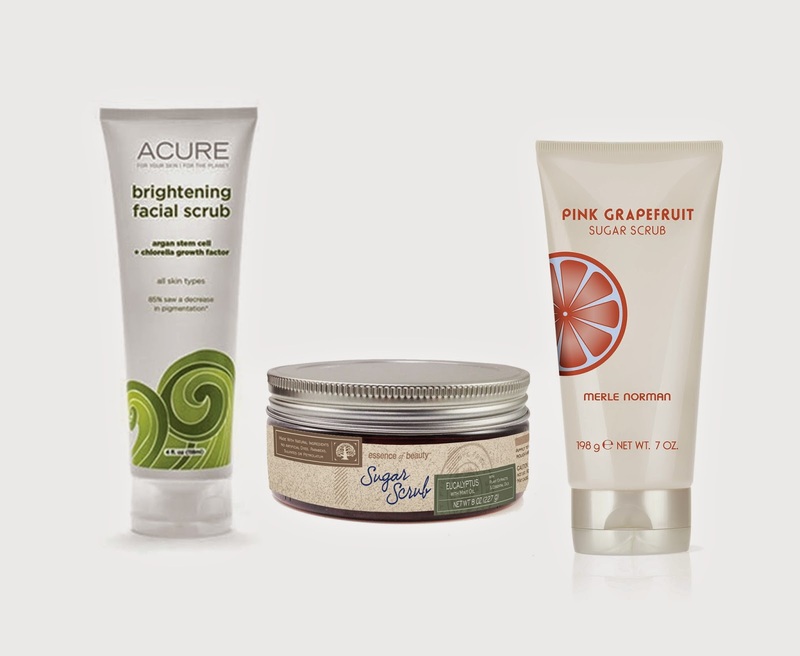 It's important to also recognize that most body scrubs are to rough for our face. Acure, my favorite organic and green skincare line, has one of the best facial scrubs on the market. It's packed with natural ingredients like lemon peel and sea kelp to release impurities and gently exfoliate your face. Obviously no bath is the same without a great body wash. If you're looking for a very moisturizing wash, reach for Nivea. The price is amazing for the actual results from this drugstore wonder. One week with this and your skin will already start to feel softer. The Touch of Happiness scent truly makes you feel joyous and bubbly. It's so cheerful and sweet, with a hint of citrus zest. Essence of Beauty knocks it out of the park with their minty eucalyptus wash. The wash is filled to the brim with super fruit extracts like pomegranate and acai, and it's completely all natural. This wash lathers so well. It definitely leaves you feeling clean and refreshed, and the scent keeps you feeling invigorated throughout the day. 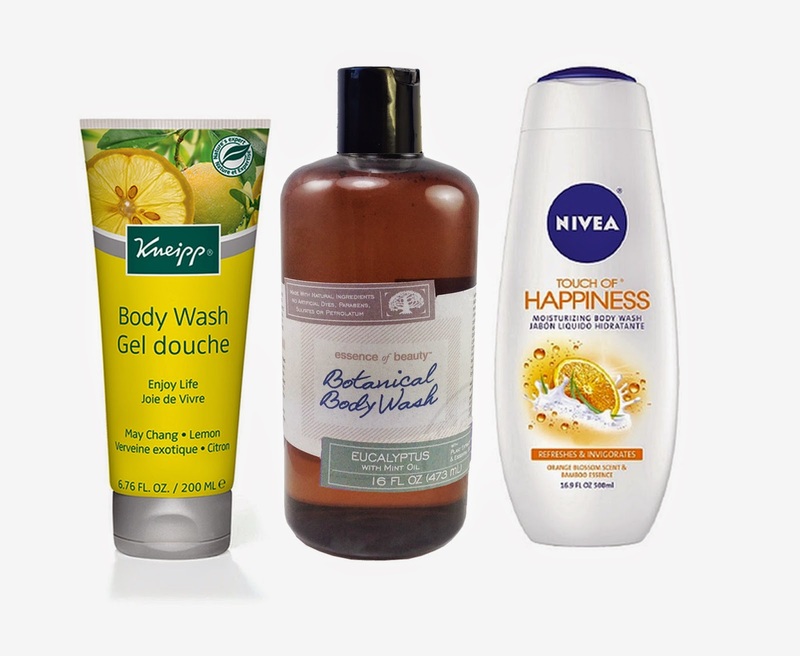 If you haven't noticed my obsession with citrus scents... Kneipp's Enjoy Life Body Wash in Lemon. Thank you bath time gods. Not only is it the absolute perfect scent for spring and summer time, but citrus scents are actually known for improving your mood. Which is perfect for morning showers before work. And, Kneipp is just an all around incredible brand. I highly recommend any of their body washes. They feel fantastic, are super gentle, and work with natural ingredients and aromatherapy to not just enhance your body but you mind as well. Love it! Everyone says that we aren't supposed to wash our hair daily, but this is only true for some people. Often people with a more oily scalp or someone who sweats often throughout the day (athlete, etc.) actually benefit from daily shampooing. Really, it's a personal preference. But, you should always be conscious of which shampoo you are using - whether it be daily or every other day. It's a little pricey, but Paul Mitchell's Tea Tree Shampoo bottle is so large, it seems to last for months. Which is a good thing, because you will never want it to run out. I actually kind of stole this bottle from my ex... Ugh, that's another story for another time... But, it's slowly become my favorite shampoo. It smells fresh and minty, and it just cleans and strengthen my hair like no other shampoo. I never feel like it dries out my hair... which a lot of drugstore shampoos do. Kiehl's Olive Fruit Shampoo is incredible! It's super moisturizing. I would only recommend regular use of it to someone with very dry or severally damaged hair. But, working it into your weekly bath time regimen once or twice will definitely help to keep your hair lush and healthy. Also, consider working in some time in the tub for a hair mask, instead of just a basic conditioner, to keep your hair healthy, moisturized, thick and shiny. Hello Hair is all the rage right now! 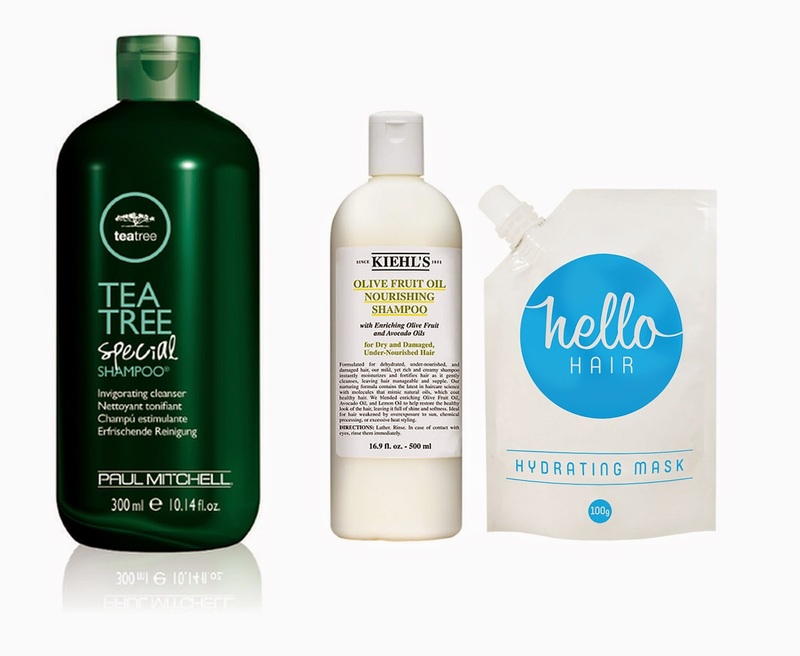 The Aussie hair mask is packed with six different oils to keep your hair in its most beauty state. Here's the best part. Now, take some time to just relax. Just soak in the tub and feel the moisture seep into your skin. Whether it be an oil, a salt, or an effervescent ball, make the most out your bath with some products that will really enhance your soak. Essence of beauty has another incredible product to add to your must-have list, their Foaming Bath Soak. Very affordable and very relaxing. It's quickly become one of my favorite bath time products. It's gently and soothing. Perfect after a long day. After trying the Kneipp Body Wash, I was pumped to try the same scent in a bath oil. It's such a sunny, happy scent! I loved it. It left my mood upbeat and my skin soft. Unfortunately, I wasn't too into the color it left my bath water... Sitting in warm, yellow liquid. All joking aside though, the coloring would never scare me away from buying it. It's a fantastic product! Sabon's bath balls are just so fun! I love watching them bubble up in my tub like a witch's (gorgeous, floral, sweetly scented) caldron. Lastly, lock in the moisture from the bath by massaging your skin with creamy body butter. After drying off from the tub, you want to reach for a moisturizing cream right away. 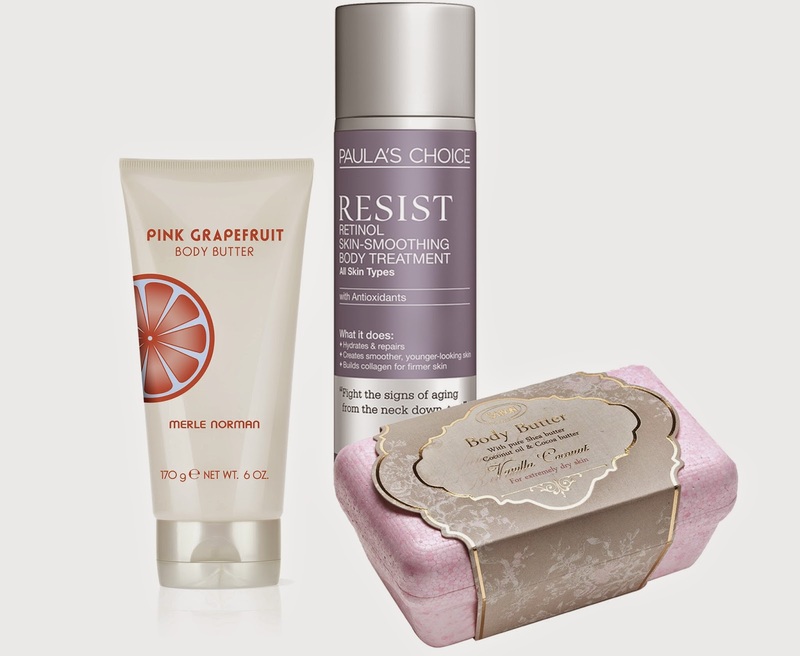 My current favorite is Merle Norman's Pink Grapefruit Body Butter. I think the first time I applied it my jaw dropped. It went on so creamy and smooth, like... well, like butter. Oh, I think I just got it. Body Butter. And of course the scent is just phenomenal. Sabon's Body Butter is just as creamy, but it's far too moisturizing for everyday use. It's a great product, but I would only use it on situational basis when you have very dry or flaky skin. Not necessarily a body butter, Paula's Choice Retinol Skin-Smoothing Body Lotion, is a great way to end a luxurious bath. It will help lock in moisture, and also smoothes and firms your skin because it stimulates collagen production. So there you have it, all you need to for the perfect tub time! Sure you have a busy schedule and jumping in the shower is so much quicker. But, a time to relax in the bath is so important for our minds and bodies.